What is the difference between so called by Specialized FACT 9r, 10r and 11r carbon fiber? Which of 16 models (!?) should I buy? Carbon fiber types on Specialized bikes. FACT 11r frames - approx 180 g. lighter than 10r, the stiffest, insanely expensive. 2017 Specialized Tarmac bikes range explained. FACT 11r frame with OSBB - S-Works Tarmac models. What Tarmac should I buy? Specialized offers 16 models at the price between 2000$ and 9500$. Will you actually FEEL the difference riding on FACT 9r or 10r, or even 11r carbon frames? I don't think so. All of these bikes are good quality racing machines, but at least the S-Works models would I leave for pros - it makes sense for Peter Sagan to have stiffer and lighter bikes, even though it costs a lot of money. The average rider won't be able to feel the difference in stiffness or weight during those weekend rides. OK, what about the Tarmac SL4 with FACT 9r carbon and Tarmac Comp, Expert, Pro bikes with FACT 10r carbon fiber frames? 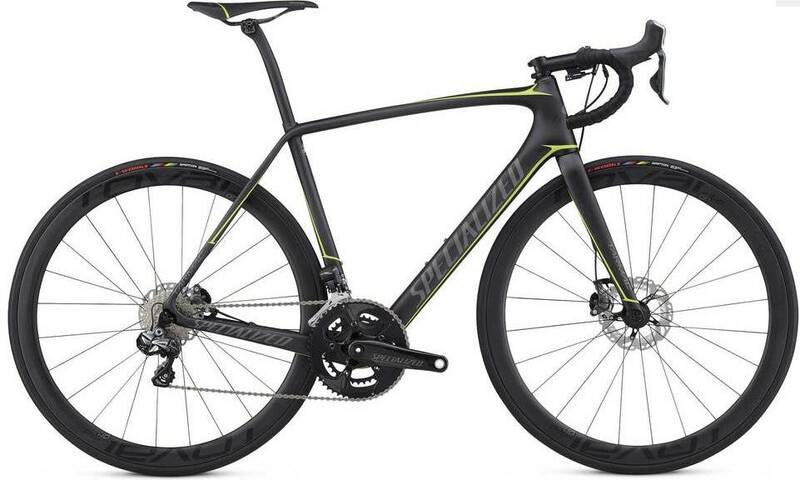 In my opinion, you're gonna have the same amount of fun riding the basic Tarmac SL4 Sport bike, equipped with 11 speed drivetrain, as you'd have sitting on even the mid range Tarmac Comp with the 180 g lighter frame and a little lighter components. You already save a THOUSAND DOLLARS here! If you think about training more and maybe racing in local criteriums, you will always have the option of upgrading your bike. I would also much rather buy 2000$ Tarmac Sport model and some REALLY nice wheels, rather than spending 3000$ on Tarmac Comp and still spin on DT SWISS R460 wheelset. buy S-Works Tarmac if you have a sponsor and your FTP is way over 350 Watts.